There's nothing more refreshing than taking a few days off to unwind, coming back with enough motivation and energy to get back into the routine! This look is ideal for casual days when you want to make an ounce of an effort - hence the pointed kitten heeled mules. If you missed out on the first post on how I styled the Autumnal floral print dress, you can find that, here. 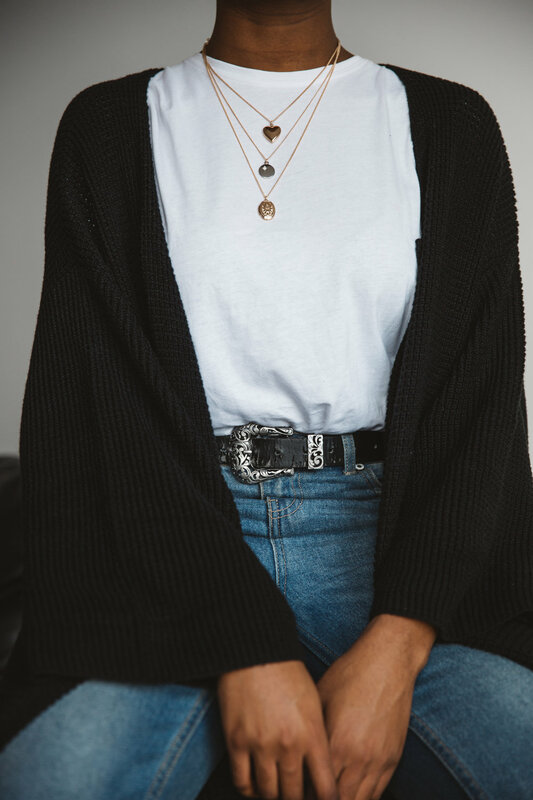 The whole point of this series is to just share some inspiration around how you can elevate some of the simple and minimal pieces in your wardrobe with accessories etc. I love a good old pointy heel or some statement jewellery, as shown below. A white tee and a pair of blue jeans are undeniably the go-to casual look if you fancy a midweek break or if you're running errands at the weekend. I'd describe this look as a 'hump day' outfit for Wednesdays in the office. 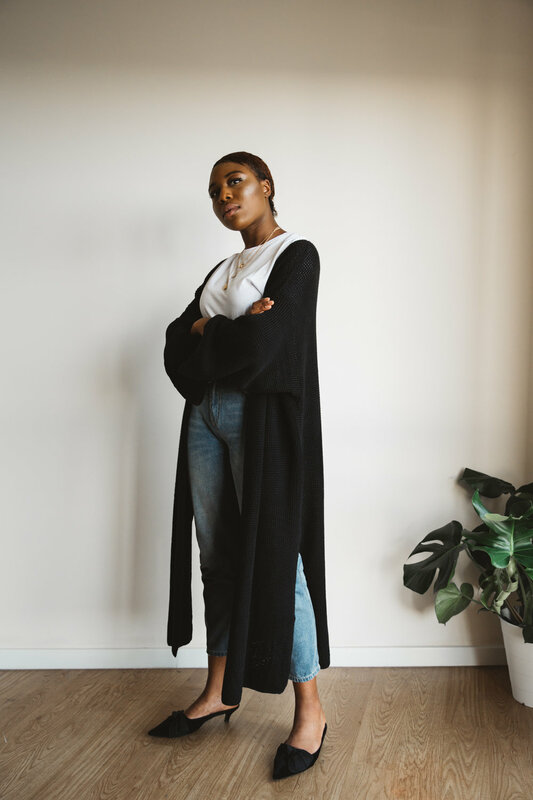 I've never really been fond of longline chunky knit cardigans but when I came across this one from Tobi, what I loved most about it was the interesting cut of the neckline and the side slits. I went for M/L size for an oversized look and extra cosiness, of course. A longline cardigan is also the perfect transitional piece from now until Spring /Summer, perfect for easy, chilled out days. How do you style your longline cardi? Newer PostHow To Style The Autumnal Floral Dress.